This is an amazing chapter which describes a multiplicity of experiences in the first part of Paul’s Second Missionary journey. We’re introduced to a young disciple, Timothy whose parents were from a mixed marriage of Jew and Greek (1). The Holy Spirit engages with Paul and Silas leading and guiding them in the missionary journey they should take (6-8). Paul has a vision that leads them on a detour to Macedonia. They minister in the Roman colony of Philippi where they meet Lydia, who is a ‘worshipper of God’ and a merchant of expensive purple cloth. The Lord opens her heart to the Gospel and she accepts Jesus. Paul & Silas baptise Lydia and her family. She extends hospitality to them. They have a run in with a demon (18) that is possessing a slave girl (16). A mob attack and beat Paul & Silas (22) and they are thrown into prison (23). During the night as Paul & Silas are worshipping and praising God, there is an earthquake and the chains fall off and the prison doors are flung open. Paul and Silas refuse to escape and the jailer is astounded. “What must I do to be saved?” he calls out (30). “Believe on the Lord Jesus and you will be saved, along with your entire household (31)”. The response is significant. The jailer and his entire household believe in the Lord Jesus and they are baptised (33). Newlife is a church that seems to be as diverse as the early church that Paul and Silas (and the other apostles) were pioneering. We have a mix of cultural and racial backgrounds, old and young and every age in between. Acts 16 shows that there are women and men and their families (obviously including children) who are coming to salvation in Christ as Paul, Silas, young Timothy and Luke were preaching and sharing the gospel. We have our ‘Lydias’ and her household, our ‘jailer’ and his household, our ‘Cornelius’ and his family (Acts 10:24,11:14), who are also coming to faith in Christ at Newlife. As the Families Minister at Newlife, I’m privileged to meet and engage with people and their families who are at many different stages along the faith journey. Last Sunday I was privileged to minister alongside 3 very different families who had brought their children for Baptism. 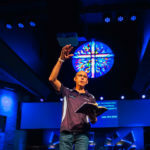 Stu in 2006 shared a ‘Dream for Newlife’ in which he began with the words, “Every month we will baptize those who the Lord has added daily to our numbers,” and a little later, “children in our community will beg their parents to come to the church their friends are telling them all about”. I’m finding that this is happening all the time at Newlife. When I meet with children, teenagers, young adults and adults for Baptism preparation, or those who seek preparation for Thanksgiving/Dedication, I’m grateful to God for the multiplicity of people and the different families that I meet on their faith journey. Over the past decade, we have baptised, and reaffirmed the Baptism of hundreds of people of all ages. 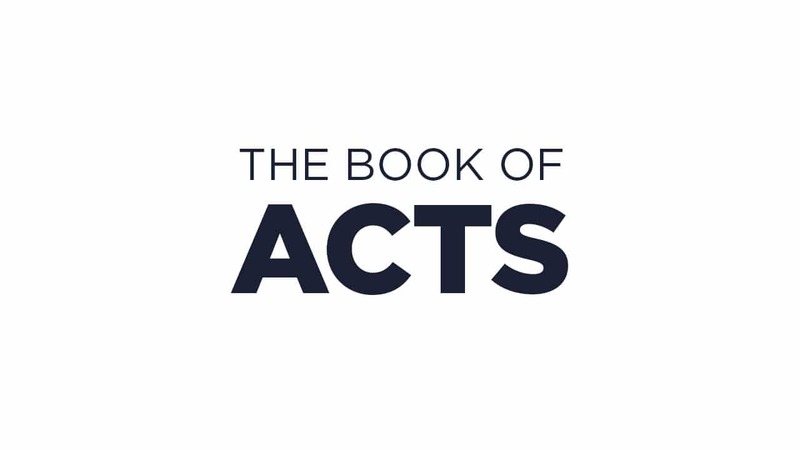 As we REAP through the Book of Acts, I’m seeing a mirror reflecting back to me of these ‘God only’ stories and testimonies of Grace, salvation and redemption. It’s humbling and magnificent to be part of this salvic work of God which is moving over, in and around this church as we are seeing ‘more people, more like Jesus’.